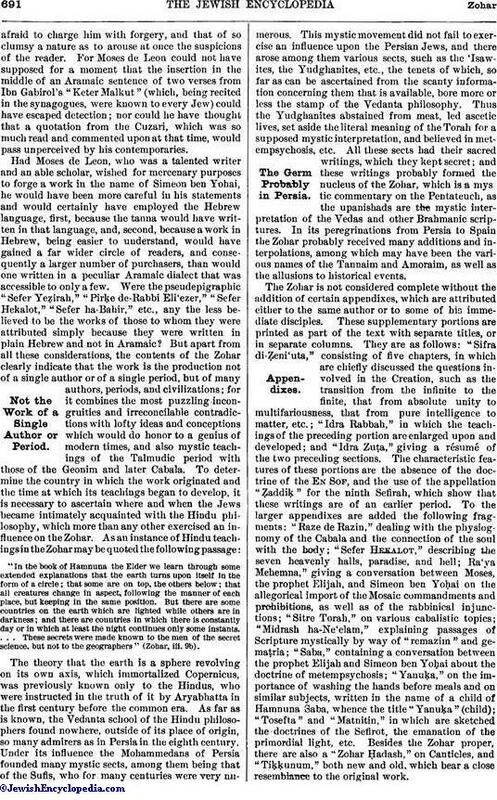 These arguments and others of the same kind were used by Leon of Modena in his "Ari Nohem" (pp. 49 et seq., Leipsic, 1840). 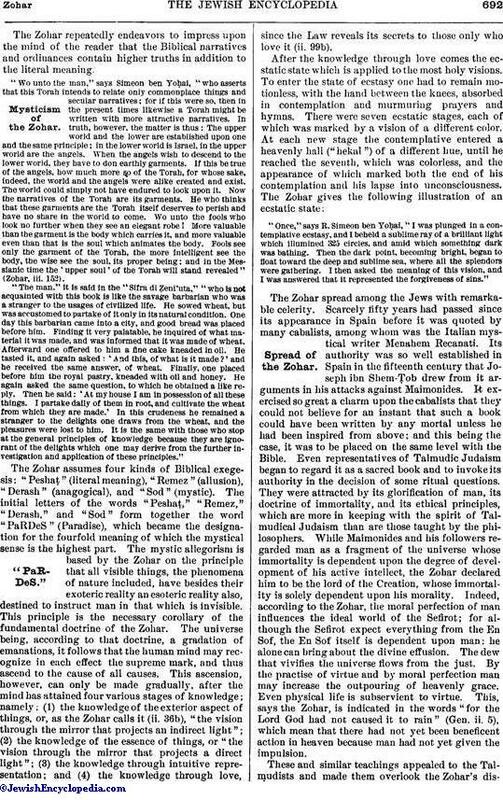 A work exclusively devoted to the criticism of the Zohar was written, under the title "Miṭpaḥat Sefarim," by Jacob Emden, who, waging war against the remaining adherents of the Shabbethai Ẓebi movement, endeavored to show that the book on which the pseudo-Messiah based his doctrines was a forgery. 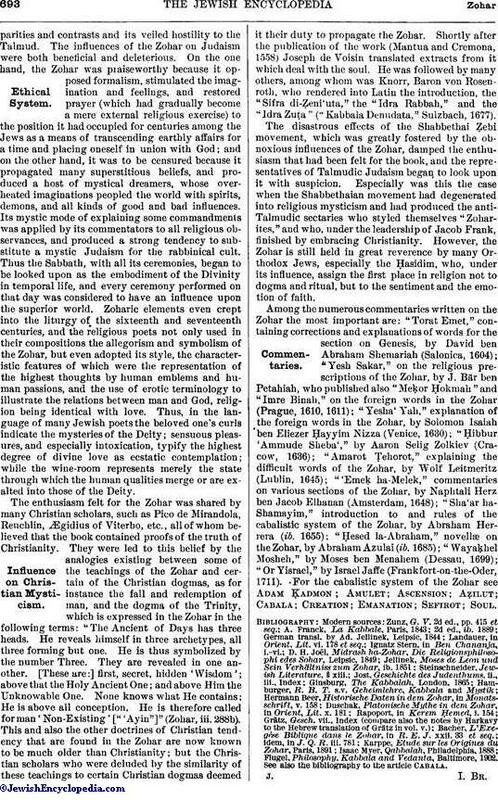 Emden demonstrates that the Zohar misquotes passages of Scripture; misunderstands the Talmud; contains some ritual observances which were ordained by later rabbinical authorities; mentions the crusades against the Mohammedans (ii. 32a); uses the expression "esnoga" (iii. 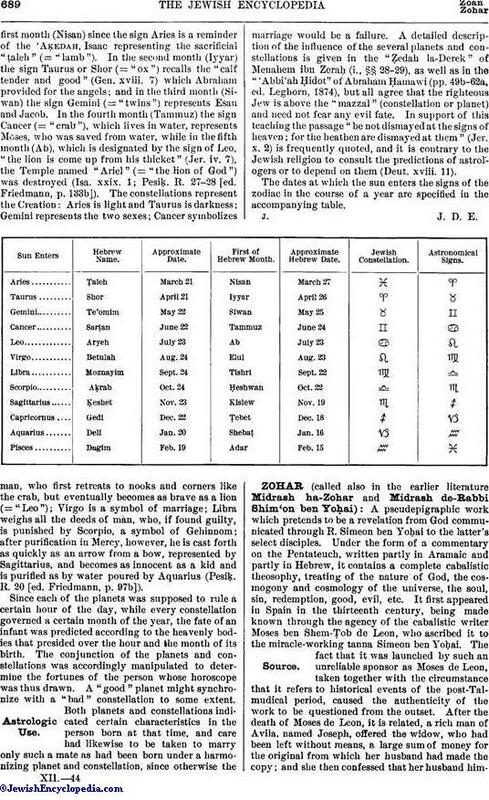 232b), which is a Portuguese corruption of "synagogue," and explains it in a cabalistic manner as a compound of the Hebrew words and ; gives a mystical explanation of the Hebrew vowel-points, which were introduced long after the Talmudic period (i. 24b, ii. 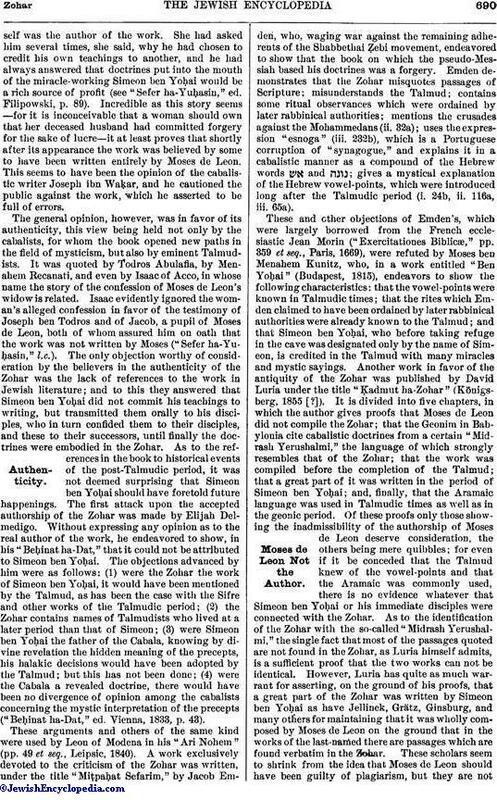 116a, iii. 65a).